A super quality and stylish Rosewood campaign box, having inset brass edges, retaining the original inset brass handles carrying handles, escutcheon and key. 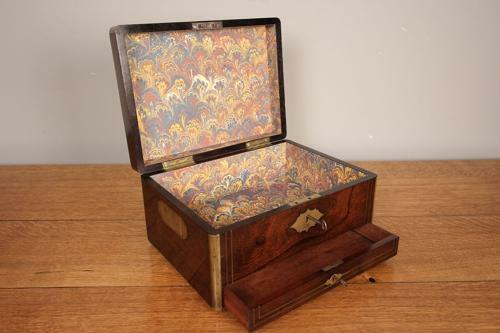 This wonderful box having a single drawer and lift up lid which opens to reveal a beautifully lined interior. Lovely condition, colour and patina throughout. English, Circa 1820.